Our current senior pastor since January 1995 is Stephen S. Masolwa, who is originally from Tanzania in East Africa. God calls him into pastoral ministry at age 22. He has a strong emphasis on teaching God’s people the Word of God. His ministry focus is teaching God’s Word for edification, evangelism, missions and outreach ministries. He comes to us with a rich and culturally diverse experience in pastoral ministry. In addition to his pastoral ministry experience in Tanzania and Kenya, he was a certified chaplain with a state agency. Above all, he exemplifies Christian faith by his love for the Lord Jesus. He genuinely loves people, and enjoys serving God’s people. He is dedicated to the teaching and preaching of God’s Word unashamedly for the salvation of the unbelievers, and for the edification of the believers. He is married to Deborah L. Masolwa. They have two children, Barakaeli and Sifazaeli. In addition to the seminary training he had at Scott Theological College and Daystar University in Kenya, he is a graduate of Columbia International University (formerly Columbia Bible College) where he received his B.A. and M.A. in Old Testament. 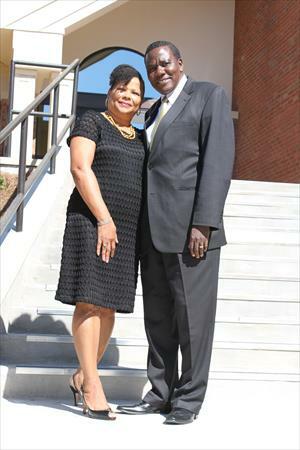 He also earned Master of Education and Ph.D. degrees in Educational Administration from the University of South Carolina, Columbia campus.